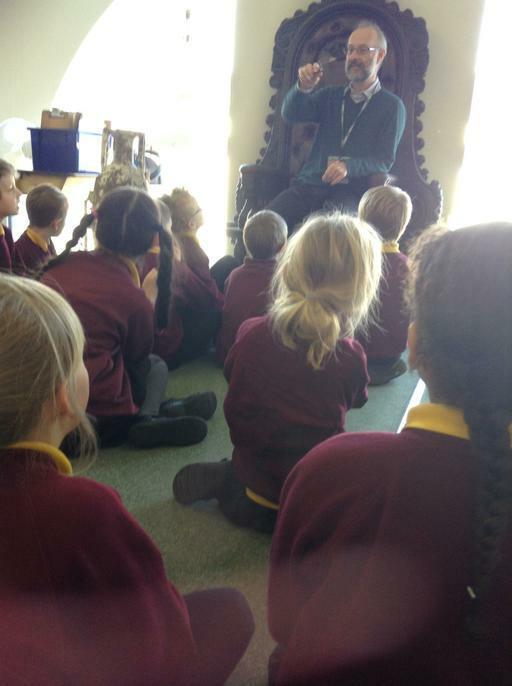 Teyr Class is a mixed year 3 and 4 class taught by Miss Sedgeman. We are lucky enough to have the fabulous Mrs Trembath as our teaching assistant who is with us every morning and Monday afternoon. Our PE lessons are on a Monday afternoon with Go Active. Please make sure your PE kit is in school throughout the whole week. As the weather is becoming warmer, we will be getting outside a lot more for some extra PE. Our homework every week involves spelling practice (fun activities can be found below), times table practice (through 99 club as well as any other way. Useful links can be found below) and reading with an adult at least 5 times per week so there’s no need for a weekly homework book. We also issue termly homework based on the topic we are studying, which can be downloaded below in our Class News. Times tables facts are very important for our learning in maths. 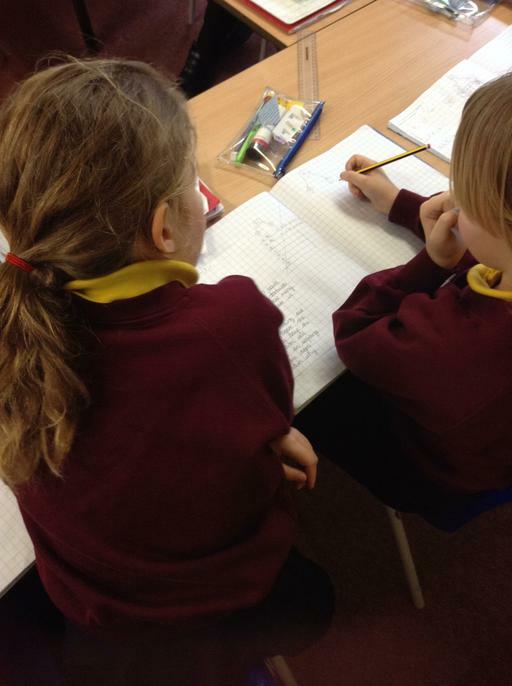 By the end of year 4, it is expected that children are able to recall facts up to 12 x 12. We have made it to the end of a very busy term! 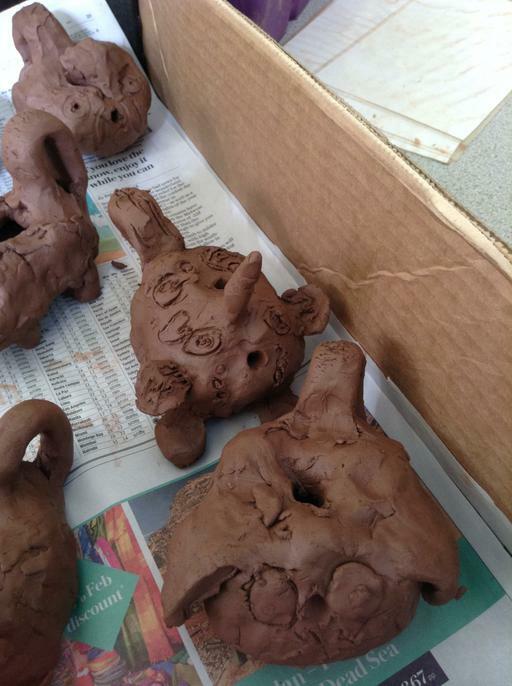 We have created instructions for how to make a Roman lamp. In maths, we have continued to work on length and now know what perimeter is and can find the perimeter of a rectangle (please ask us what the formula for the perimeter of a rectangle is). As part of our Roman topic, we have been learning about the Easter story which happened during the Roman era. We have created some fantastic storyboards and have used these to perform the story to each other. This week, we had our golden time which was a pyjama party with some snacks. I hope you have a fantastic Easter Holidays. We will see you back on Tuesday 23rd April. What beautiful weather we have had this week! It has really encouraged us to get outdoors and enjoy running for the daily mile. We can really feel the difference in our stamina and energy improving. Fingers crossed this weather will stay for the next couple of weeks. This week, we have completed some 'Show me what you knows' which have helped Miss Sedgeman to see what we have learnt over the past couple of months and will help her in seeing what we still need to know. As a treat for completing them, we had a movie afternoon on Friday. A reminder of the Easter raffle which will take place next Thursday afternoon for the children. There are many goodies that can be won. Also the Easter hat competition will take place during achievement assembly next Friday morning. 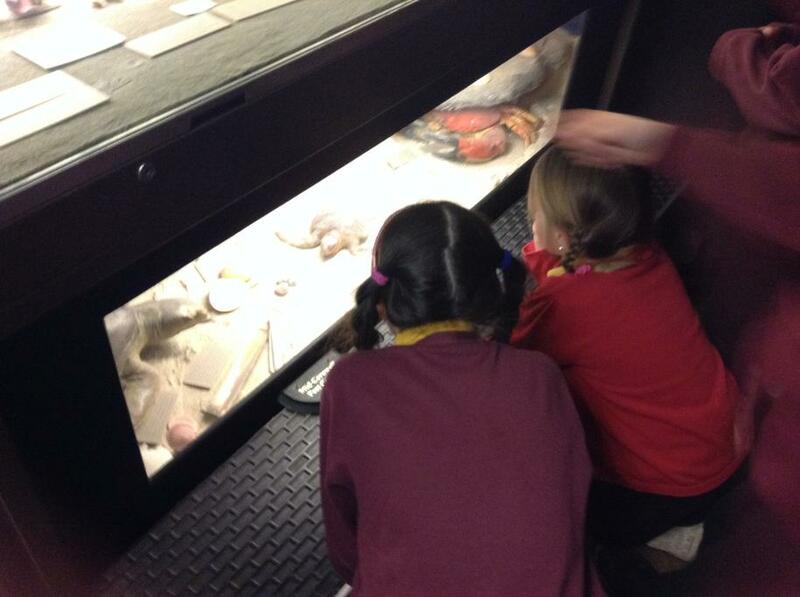 In English, we have been writing recounts for our trip to Truro museum. We were introduced to a new way of planning for our writing called a 'skeleton plan' (which looks a little like a skeleton of a fish). In maths, we have continued looking at length and are now able to convert mm into cm and cm into m. Next week, we will be learning how to add and subtract different lengths. 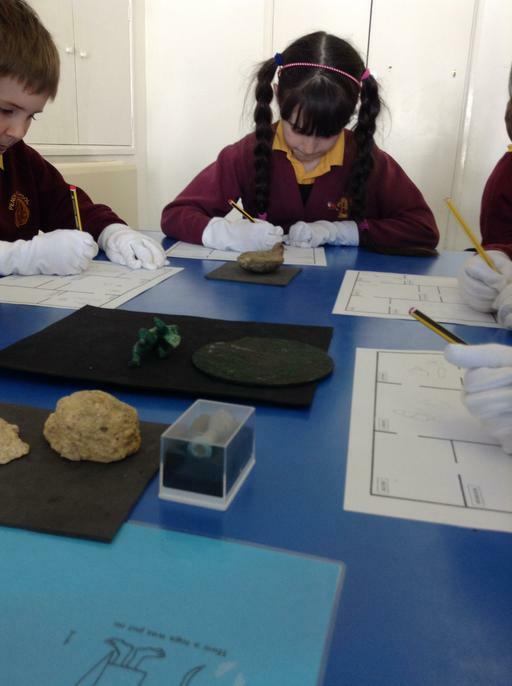 In topic, we had lots of fun creating our own powerpoints about what the Romans did for us. It was exciting to learn different skills and explore another computer program. Next week, we will be completing some 'Show me what you know' so that Miss Sedgeman can see where we are in our learning and use this to help with what we need to learn about in the Summer terms. Wow! We just love being busy in Teyr. 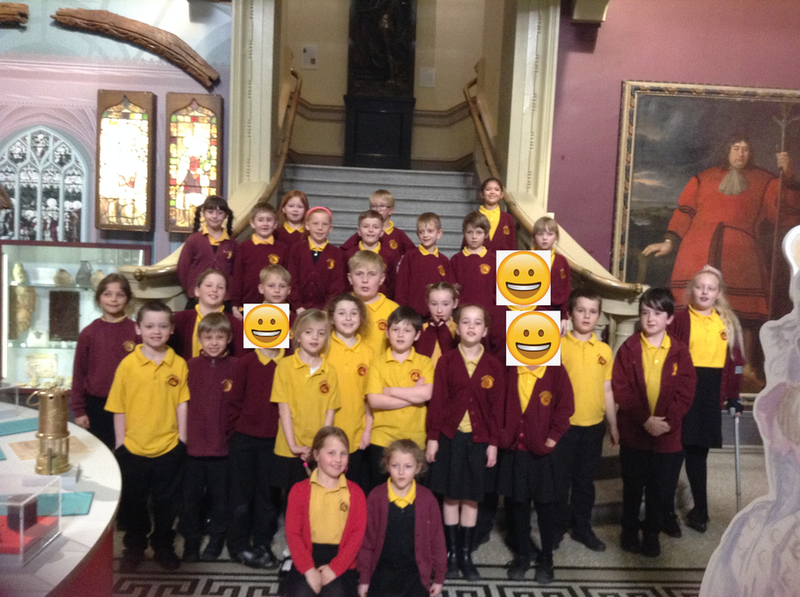 This week we have visited: Truro Museum to learn more about the Romans; we have taken part in multi-skills at Cape Cornwall School; and some of us have performed in 'Pendeen's Got Talent' in aid of Comic Relief's Red Nose Day! 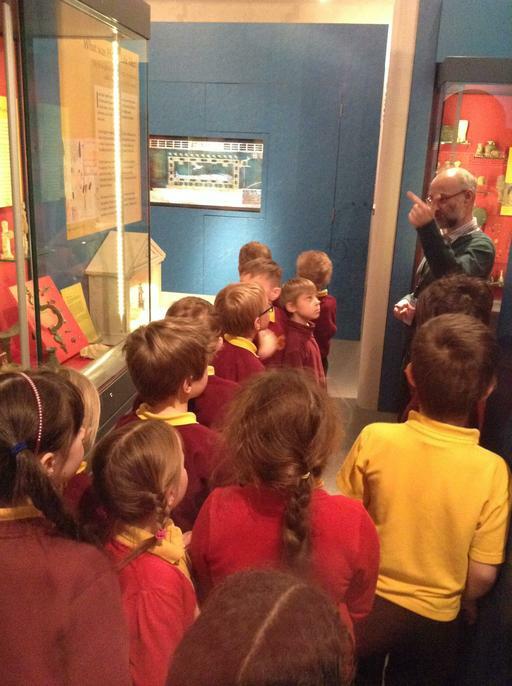 It was really exciting to visit Truro Museum. Some of us have never been there before and we were amazed at how big it is. 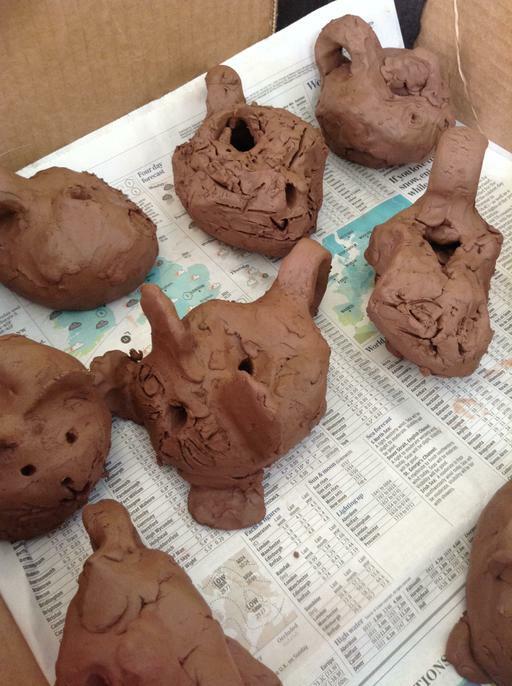 At the museum we created our very own Roman lamps out of clay. 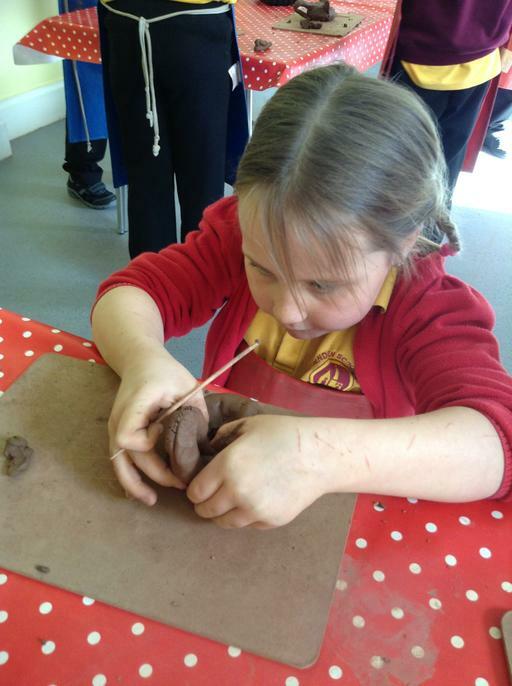 It was great fun to get creative and a little bit messy! 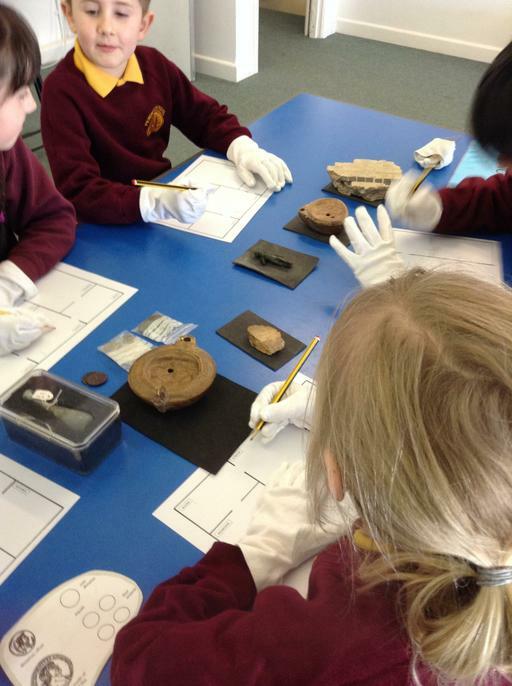 We also took part in a workshop with an architect who told us how they excavate artefacts. 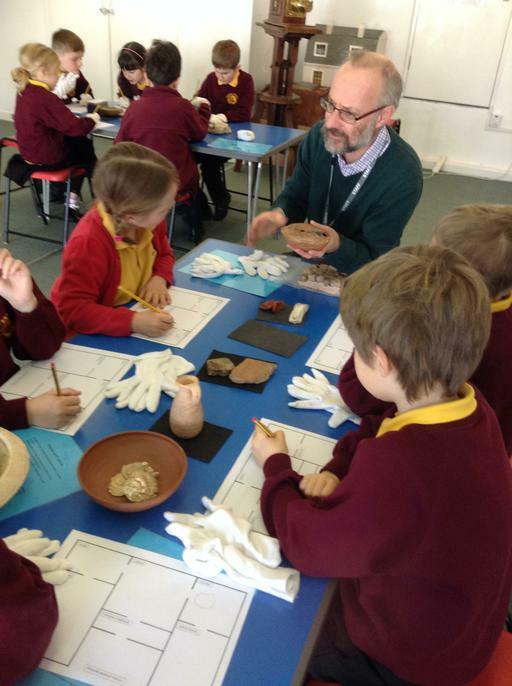 We then donned our white gloves to carefully handle the artefacts and decide which room in a Roman villa they came from. It was a fantastic experience. 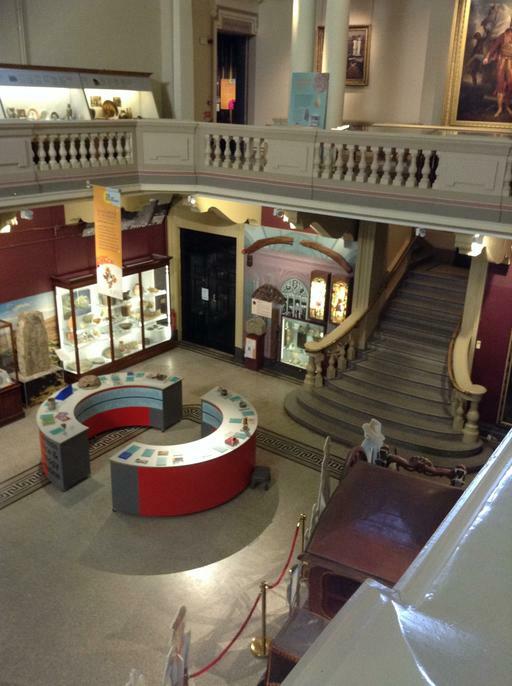 After we had lunch, we had some time to explore the museum. 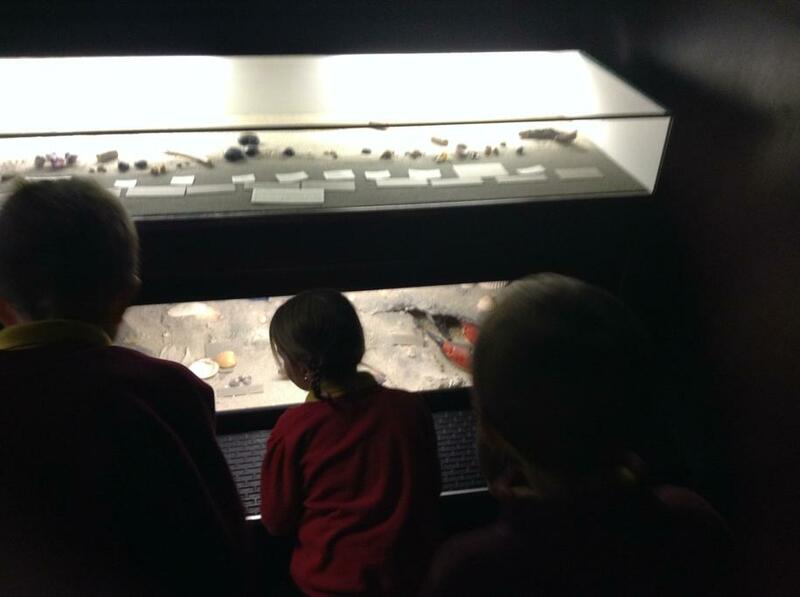 We had the opportunity to see an actual mummy which was excavated from an Egyptian pyramid, a huge carriage that was used in the 18th Century, artwork based on Cornwall and a room full of stones and minerals which was perhaps, our most favourite exhibit. It was a really fantastic, unforgettable day! What a busy week we have had in Teyr! We took part in the St Piran's celebrations and danced through the streets of St Just with Nessa. We represented Pendeen School fabulously and are very proud of ourselves. In the afternoon, we created leaflets about why Cornwall is the best place to live in Great Britain. We got a little hungry talking about scones! We were very lucky to celebrate 'Wild' Book Day. The hall had been transformed into a jungle! We couldn't believe what we were seeing. It was so much fun. 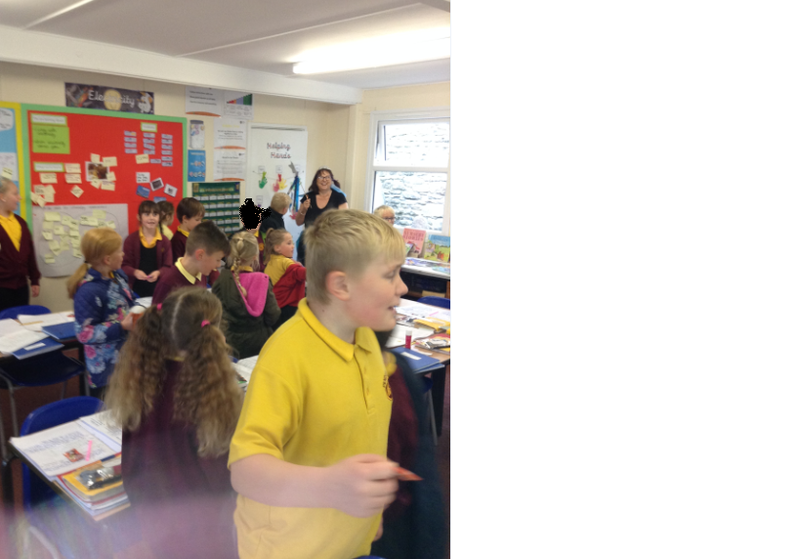 The whole school worked together to create a piece of writing each which will be collated in Pendeen's Book In A Day. Keep an eye out for further developments for this. We have another busy week coming up next week. 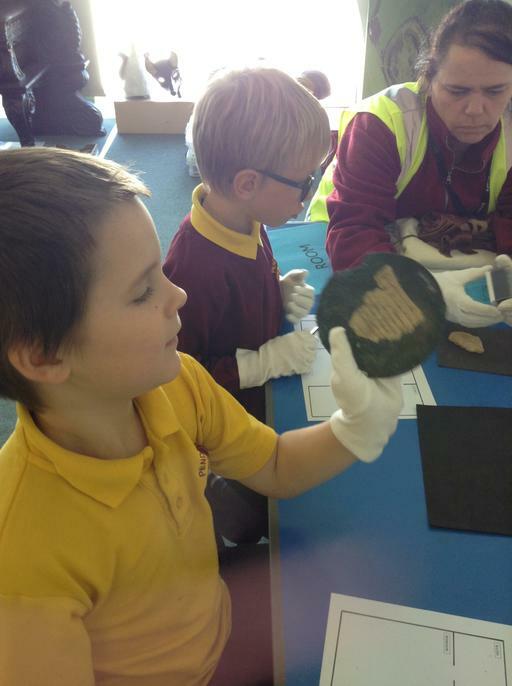 On Wednesday, we will be visiting Truro Museum to find out about life in Roman Britain. On Thursday afternoon, we will be travelling to Cape Cornwall School and taking part in multi skills. PLEASE ENSURE PE KIT IS IN SCHOOL! On Friday, we will be holding 'Pendeen's Got Talent!' We're looking forward to it. Don't forget to wear red for a 50p donation for Comic Relief. 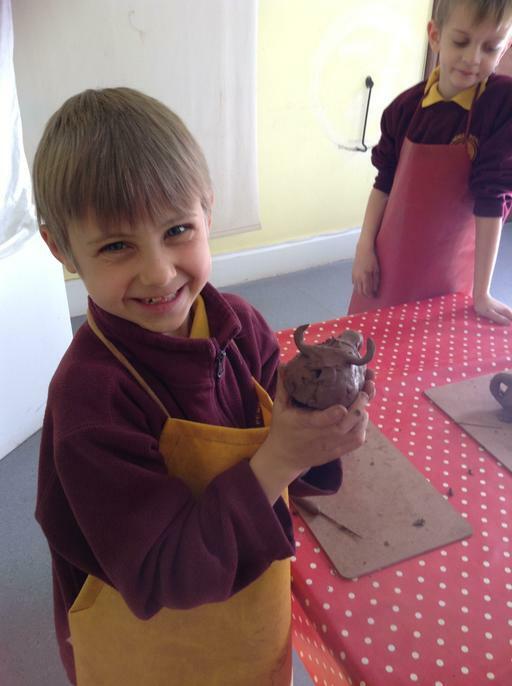 It has been a fabulous start to the second part of our Spring term. We have kicked off with our new topic: 'Road to Romans' which we are really excited about. 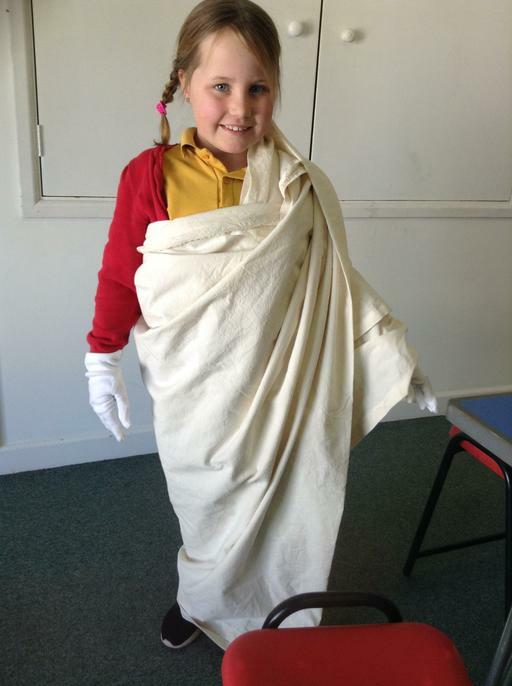 We have been able to understand the chronology of the Roman times by creating a time line. Did you know the Romans were around for 1,200 years!? We're really excited to find out about who they were. 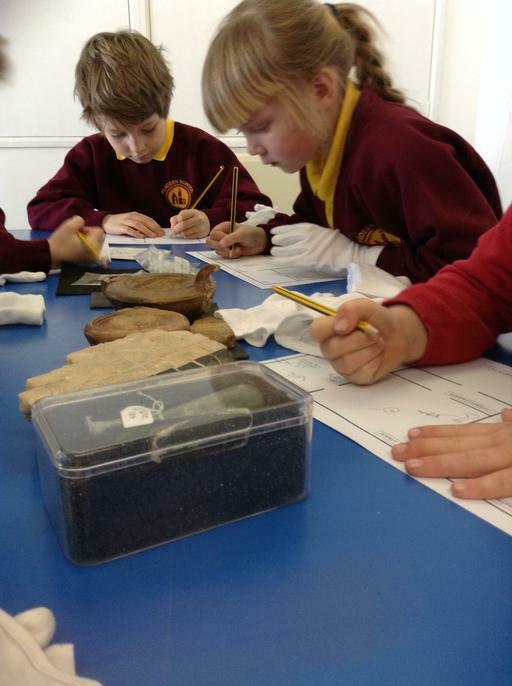 As we have been learning about them this week, we have found out many things already about what the Romans have done for us (such as the sewer system). 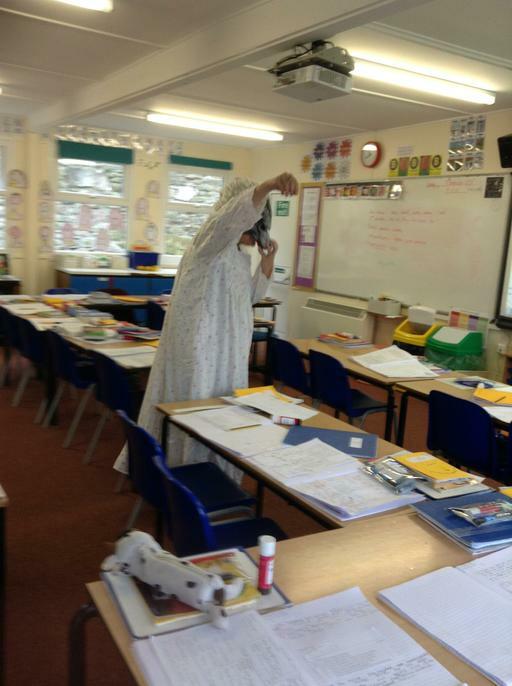 In English, we have created our own Roman characters and are going to be writing a diary as though we are in the city of Pompeii when Mount Vesuvius erupts. In maths, we have continued to learn about short division. We now know what a remainder is! Next week, we will be looking at word problems and tightening up our fluency with short multiplication and short division. 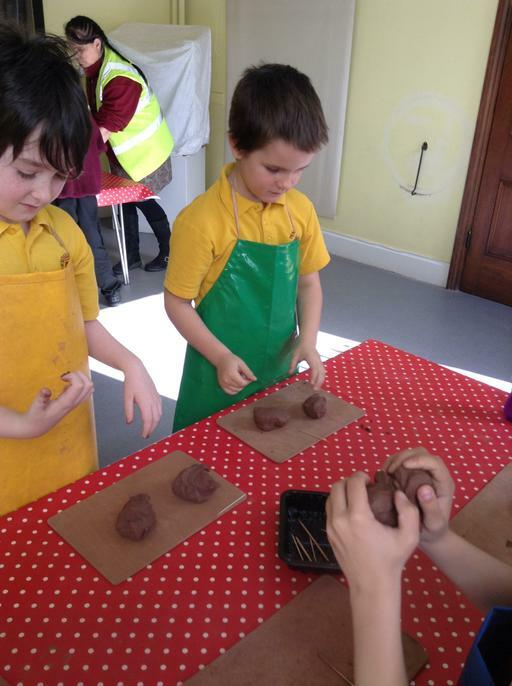 In topic, we have created Roman mosaics using a printing technique. 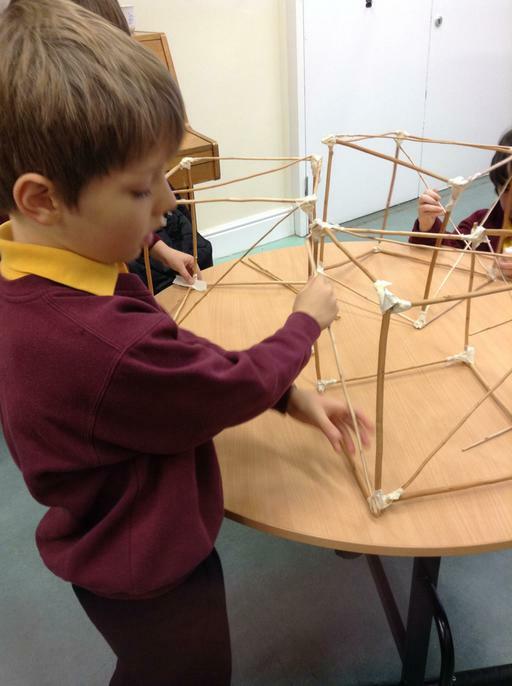 It was quite tricky to get the shape and we had to use our maths skills to help us. We have also learnt about volcanoes and how they are formed. 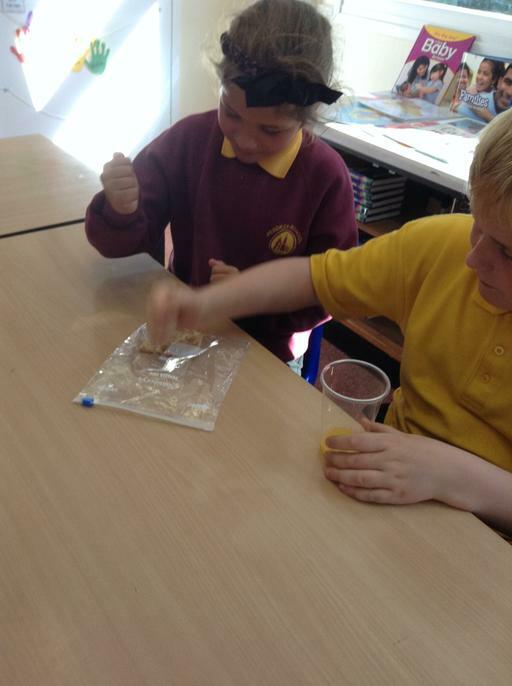 Our classroom smelt like fish and chips for a while because we use vinegar and bicarbonate soda to act as our lava. It has been a stunning week with regards to weather. We have managed to get lots of practise in for St Pirin's Day next Tuesday. Fingers crossed the weather will be kind to us! Thursday 7th March - World Book Day - Parents invited in (a form needs to be returned to the office) and 500 words permission needs to be given. As you can see, it is going to be a very busy and exciting half term! It has been a fantastic final week of Spring 1. We've been really excited about our learning in Teyr and enjoyed finishing our topic 'Frozen'. We've found out so many new facts about Antarctica and Ernest Shackleton this term. 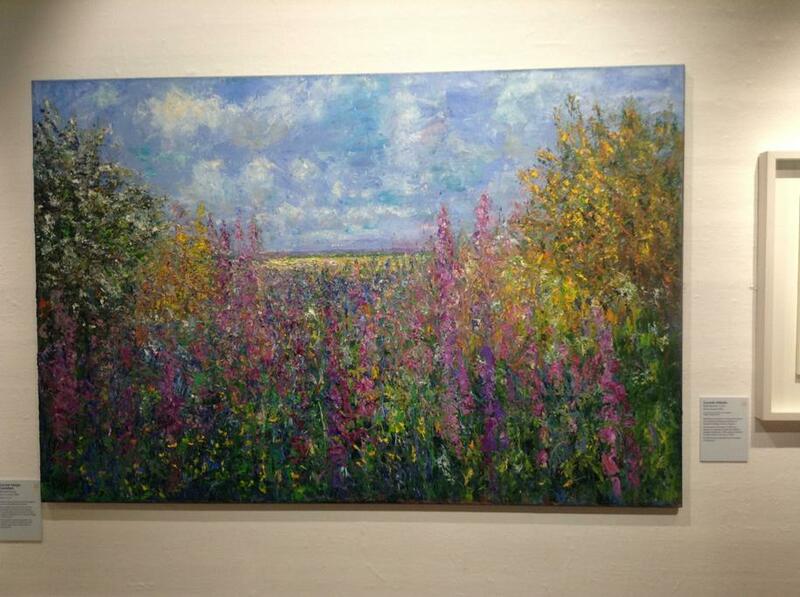 Please come in and have a look at what we've been getting up to. This week, we have been continuing our learning about short division. We have a real understanding of how to divide two digit numbers by one digits. Check out Pobble for some of our published authors who have written step by step instructions on how to divide using short division. In topic, we have come to the end of our learning about changing states. This week, we learnt about the water cycle. We now know what evaporation, condensation and precipitation is. 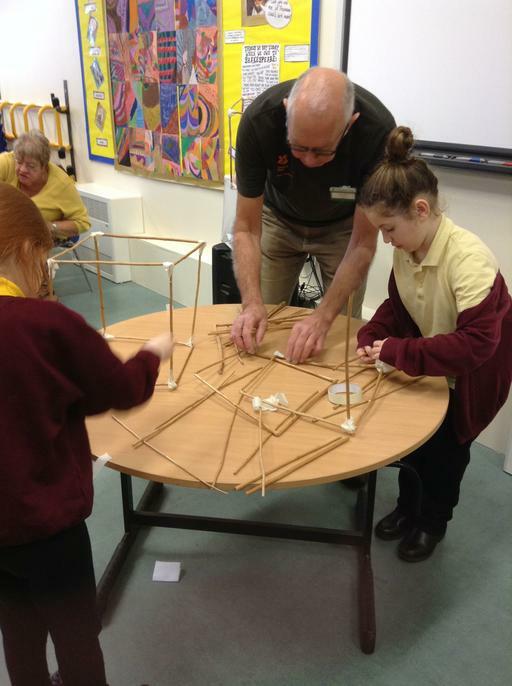 We earnt our final marble this week and have had a games afternoon. It has been really fun doing something different in class. Wow! I have to start by saying how proud Mrs T and I are of Teyr. Everybody is flying with their learning right now. We are loving the moans we get at the end of our maths and English lessons because everybody wants to keep going! Check out our Pobble page for some fantastic stories which we have written in English this week. The standard of writing is truly amazing! Maths has been such fun this week as we are learning the written method for division. Take a look at some of the work produced in our lessons to see how we are mastering our division skills. We've had lots of smiles and celebration in maths this term. Everybody is doing so well with their times tables knowledge. We're all improving our scores in the 99 club which is fantastic. This is going to make such a difference to learning in maths lessons as times tables come in very handy for most things. Well done to everyone who has been practicing at home and a big thank you to all who our supporting us with this. It is very much appreciated! This week in the afternoons we have been focusing on PSHE. On Tuesday, it was Internet Safety Day. The children have a great knowledge of how to keep themselves safe on the internet. This week was also Children's Mental Health Week. We looked at how sleep keeps our minds healthy. Pop in and have a look at some of the leaflets we have produced to find out why. We a week we have had in Teyr! In English, we have unpicked our class story - Last Chance of Survival and have created rainbow plans with all the parts of the story in preparation for writing next week. In maths, we have been learning about written multiplication. 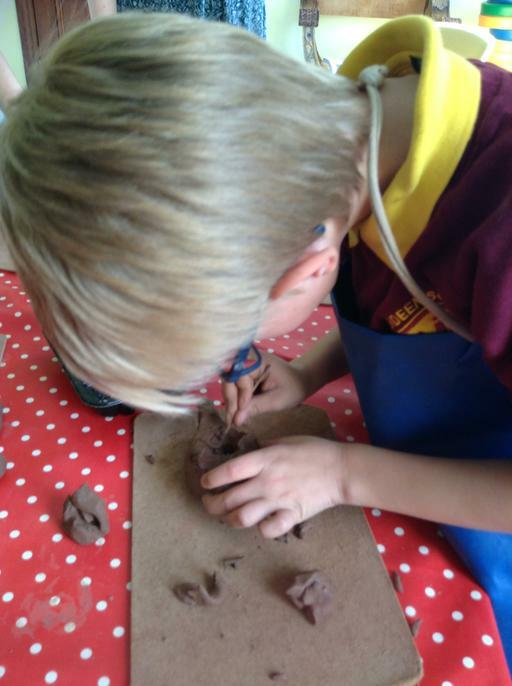 It has been fantastic to see children grow in confidence in their abilities. We will continue practising the methods we have been learning about during our daily five-a-day maths. Next week, we will begin to explore written division. Science got a little chilly this week and, if we're being honest, a little tiring. We learnt about the process of solidifying which is when a liquid turns into a solid by cooling. We did this by making our very own ice cream in a bag. It took 10 minutes to make and was delicious. Take a peek at our pictures and videos below. In topic, we used our research skills to find out information about Antarctica and are currently in the process of creating fact files which will go up on display once we have finished. Thank you to all those who attended parent consultations this week. It was very positive. If you didn't manage to make an appointment, please don't hesitate to contact Miss Sedgeman to discuss any queries you may have. On Monday, we 'took' an exhausting and torturous journey from Antarctica to Elephant Island as part of Ernest Shackleton's Endurance Crew. We gained an understand of how it must have felt to make the voyage. From this, we thought of lots of powerful vocabulary and put it into our writing. We really are vocabulary wizards in Teyr. On Thursday, we were introduced to the story that we will be focusing on over the next couple of weeks. We made story maps to help us remember the story off by heart and practised telling it with actions. In maths, we carried out some problem solving activities linked to factors. We now know that a factor is a number that can be multiplied to make another number. This was a fantastic opportunity for us to develop our problem solving skills and carefully think about how we set our work out to make sure that we were systematic in our approach. Next week, we are going to be diving in to the written method for multiplication. Because we have been practising our times tables so much, we are going to have a lot of fun learning about how to multiply bigger numbers. Thank you for all the support at home in doing this. It is very much appreciated by Team Teyr! 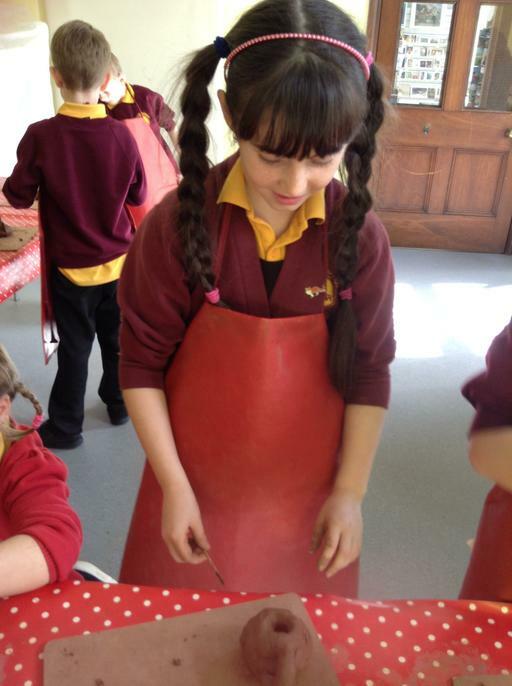 In science, we carried out another exciting experiment involving chocolate! We melted chocolate to observe the process of a solid turning in to a liquid (process of melting). We then used a thermometer to read the temperature of the chocolate once it had melted. Luckily, Miss Sedgeman had bought an extra bar of chocolate which we could eat after else it would have been too tempting to dip our fingers in the melted chocolate and eat it! Next week will be really exciting as we are going to attempt to make ice cream to understand the process of solidifying (the opposite of melting). This week, Miss Sweet introduced a competition to the children to create a new mascot for our virtues. The children have excitedly been designing mascots and carefully thinking about the virtues it will portray. 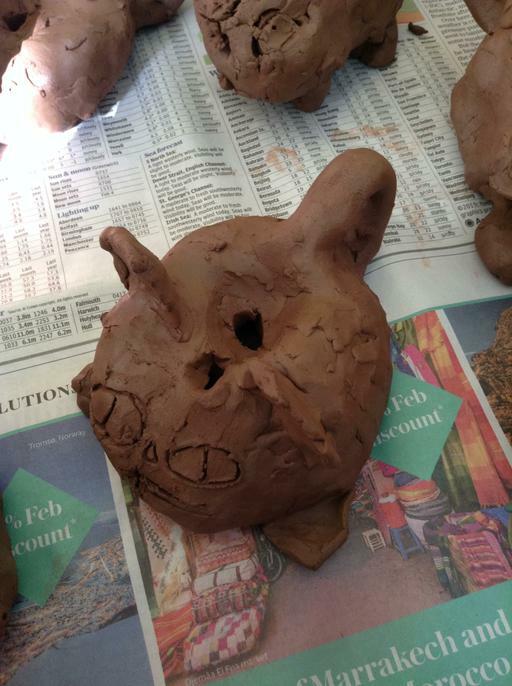 We have thoroughly practiced our creativity in Teyr. Parent consultations are next week on Wednesday and Thursday. If you haven't booked a slot, please visit the Teyr clipboard outside Miss Sweet's office to find a time. There are plenty of slots available. Wow! 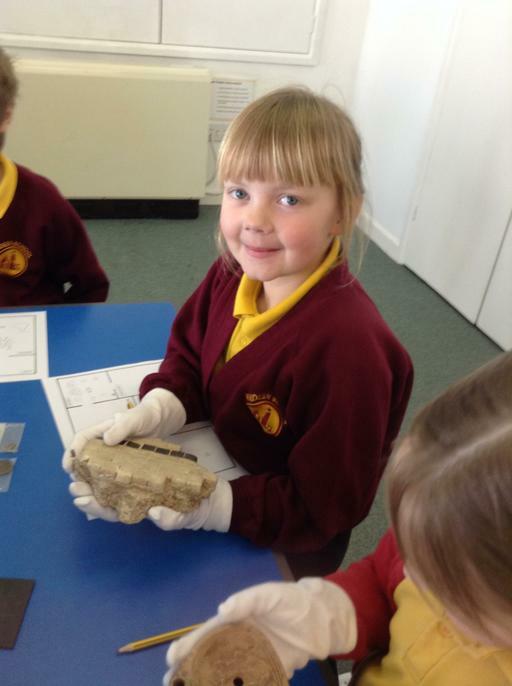 We love learning in Teyr! It has been a jam-packed week full of lots of fun. In English, we continued working towards writing a biography about Ernest Shackleton. We learnt about subordinating conjunctions and subordinate clauses. In fact, we realised we had already been using them in our writing, but didn't know they were called subordinate clauses. We also found out that you can start a sentence with a conjunction such as because. We are working hard to make our writing interesting for our reader. In maths, we have continued to look at multiplication and division. 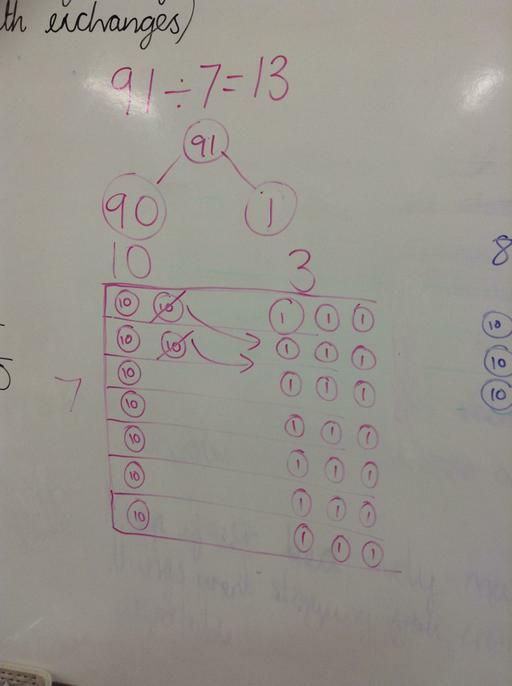 This week, we had an exploration into arrays and how to multiply three numbers in one problem such as, 2 x 3 x 4. Next week, we are going to be exploring factors and multiples, as well as learning how to multiply efficiently. In topic, we watched a little bit of Frozen Planet and were able to see just how vast and full of wonder Antarctica is. We then carried out a little bit of art where we sketched Antarctic and use water colours to paint them. We had to be very precise and careful. It has been an exciting first week back! We have begun our new topic 'Frozen' and are learning about a famous explorer - Ernest Shackleton. In English, we have been learning about what a biography is. We have identified the features and are beginning to collect information in order to write a biography about Ernest Shackleton's life. Maths has been really fun. We are currently working on our times table facts and being able to recall these facts quickly. It's been really fun choosing different ways to learn about them whether it be through singing, playing a game or making posters. Knowing our facts is really going to help us in our maths and being able to work out problems. Next week, we will be venturing into the depths of written method for multiplying. In science, we began our new topic 'Changing States'. We had a look at lots of everyday materials and grouped them into solids, liquids and gases. Over the coming weeks, we will explore the processes of melting and freezing. Welcome back to another busy term of learning. I hope you all had a fantastic Christmas break! Please see our Class News for information on our topic for this term as well as our weekly spellings focus. It would be fantastic for the children to have a real push at practising times table at home. Year 3's need to know their 3s, 4s and 8s by the end of the year including division facts and Year 4's need to know all facts up to 12x12 by the end of the school year. This will help them greatly when they move in to year 5. In English, we have written our very own mixed up fairy tales and created our own books. 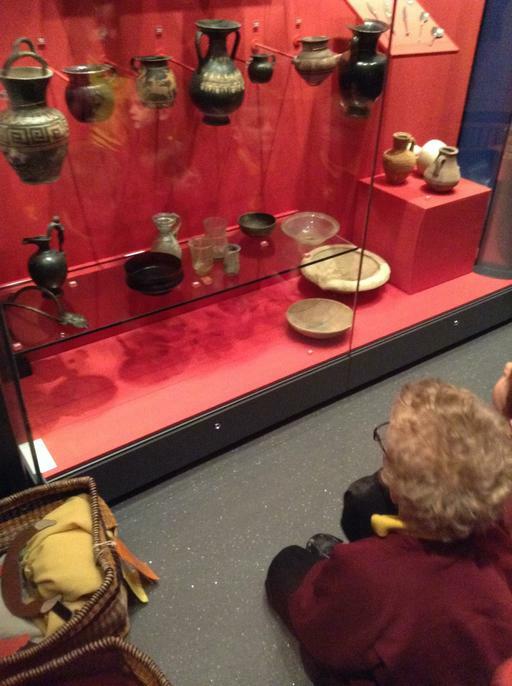 They look fantastic and are displayed in our cloakroom if you would like to come and read. In maths, we have been focusing on multiplication - specifically the three times table for the year 3s and the six times tables for the year 6s. We are having a really big push on times tables facts and are hoping all year 4s know they're times tables up to 12x12 and division facts by the end of year 4. In science, we carried out an experiment to find out which objects are insulators (absorb energy) and which objects are conductors (allow electricity to travel through it). It was great fun and we've really learnt a lot about circuits. On Tuesday evening, Teyr and Peswara performed in Pendeen Church. It was a lovely evening. Thank you to those who came. We have certainly shown determination in Teyr this week! 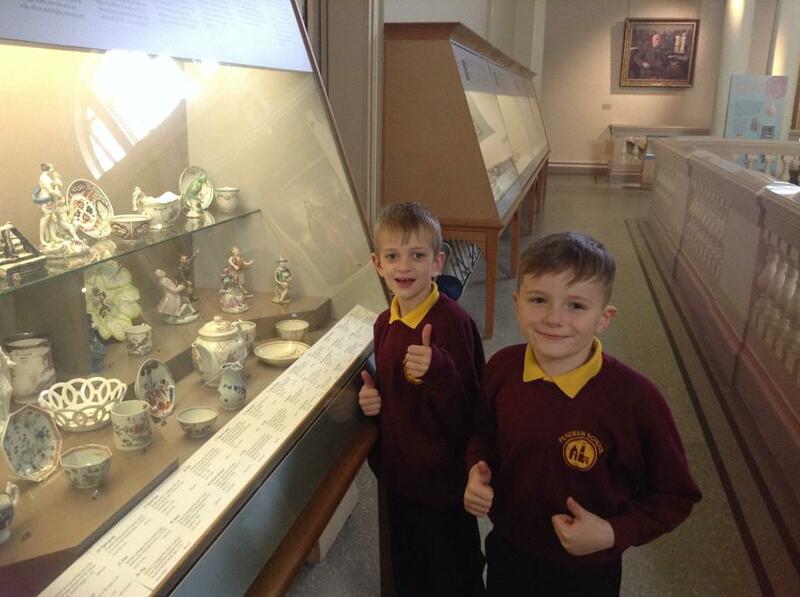 We completed some 'Show me what you knows' which show Miss Sedgeman what we know within our learning, she can then see what we don't know and plan accordingly from there to help us progress in our learning. Later on in the week, we wrote a mixed up fairy tale of Jack and the Beanstalk. The stories are fantastic. Some are being put on pobble and others are being displayed somewhere in the school. It has been a class record this week for Teyr. Because of our diligence and determination, we managed to fill our marble jar in 5 days! So on Friday afternoon, we watched a Christmassy movie for our golden time. We're now determined to fill it again before the Christmas holidays. Can we do it?! Next week, we will be writing another mixed up fairy tale as an independent write. We will be creating our book which will be displayed with our topic display in our cloakroom. 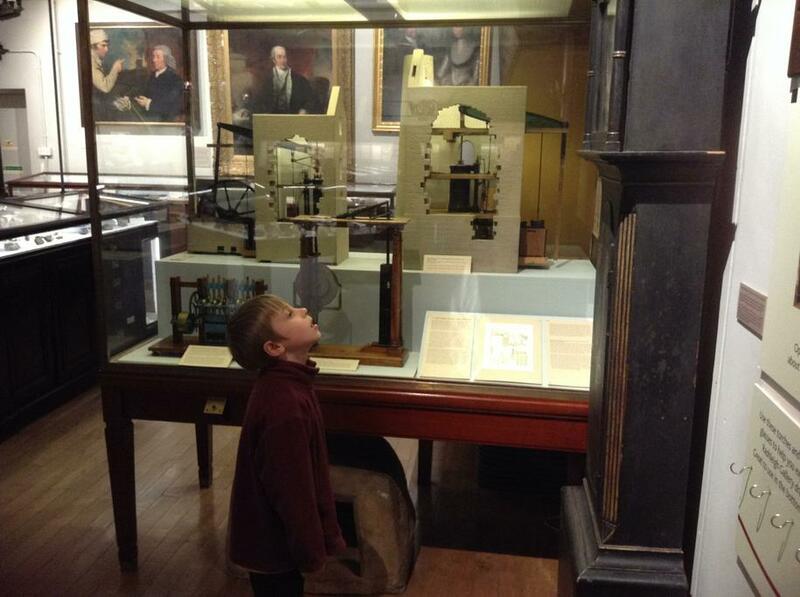 We will also be looking further into circuits where we will be finding out about conductors and insulators. What a fun and busy week we have had in Teyr! In English, we have begun to innovate the story of Jack and the Beanstalk. There are some interesting characters to help mix up the fairy tale. Watch out next week for our Pobble published authors! 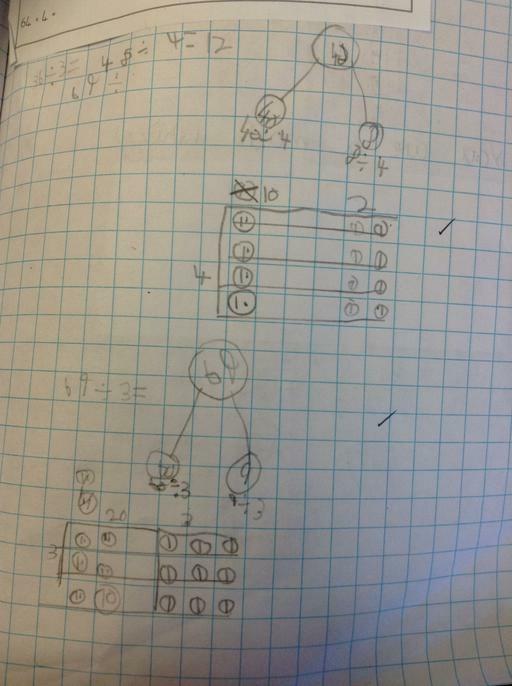 In maths, we explored the inverse operation of multiplication - division. We divided by 10 and 100. It was great to start imagining an image in our head to help us with this. From now until Christmas, we will be focusing on times tables. Times tables are a really important part of maths and help us in all sorts of situations. We are going to try and practise our times tables for at least five minutes a day at home. Whether it be listening to songs, chanting, testing each other or playing hit the button online. Have a look in our useful links section for more ideas. Just five minutes a day will help children with their fluency so that they can recall facts up to the 12 times table including division as well. The more practise we have now, the quicker we will become. We had great fun in science this week where we are learning about circuits. This week, we learnt what makes a complete circuit. Next week, we will be looking at the components which make a circuit and explore how to make different circuits. 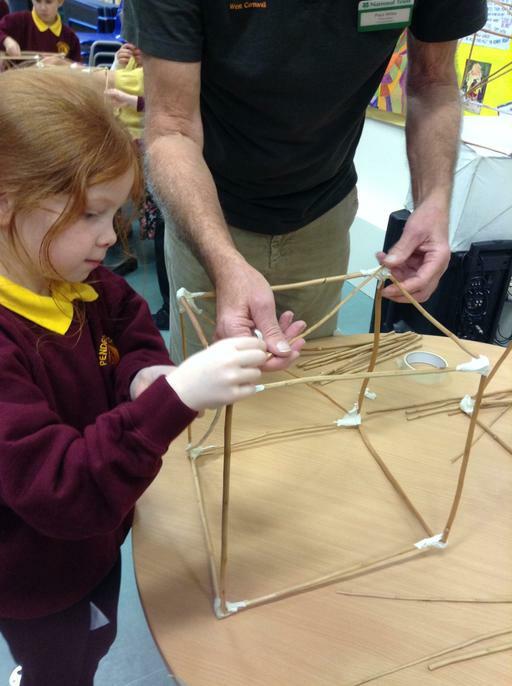 On Wednesday, Teyr Class has the task of creating lanterns for Trengwaiton Garden's annual Lantern Walk. 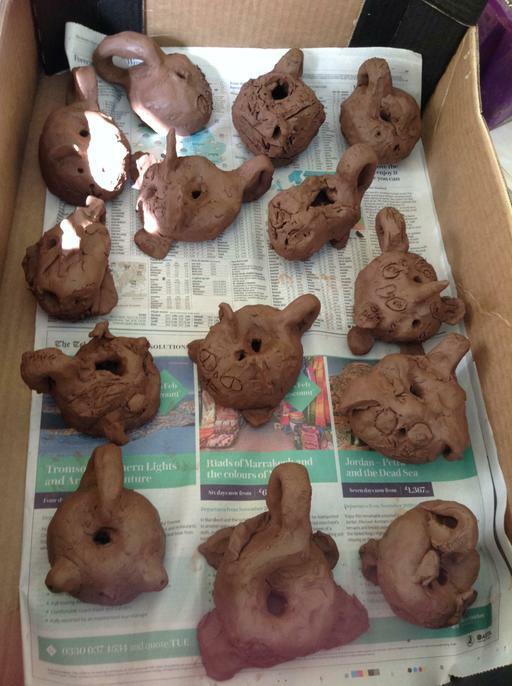 We had such fun making them and would like to say a HUGE thank you to all our wonderful helpers. 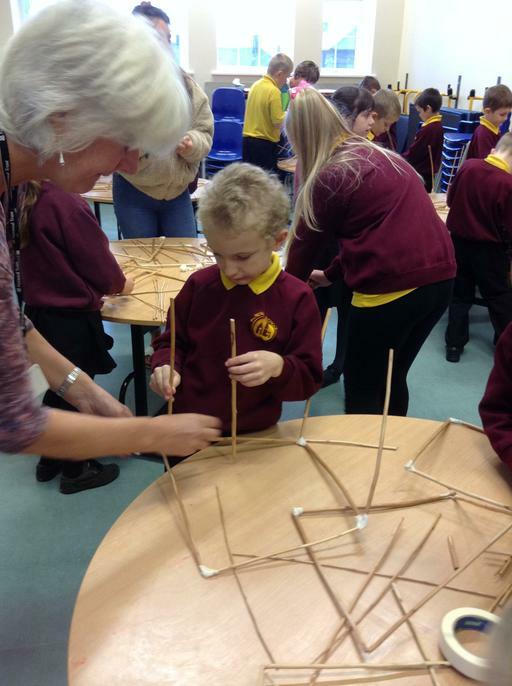 This meant we were finished in a very quick time and all children were able to make their lanterns. Have a look below at some of the snaps taken before it got messy! 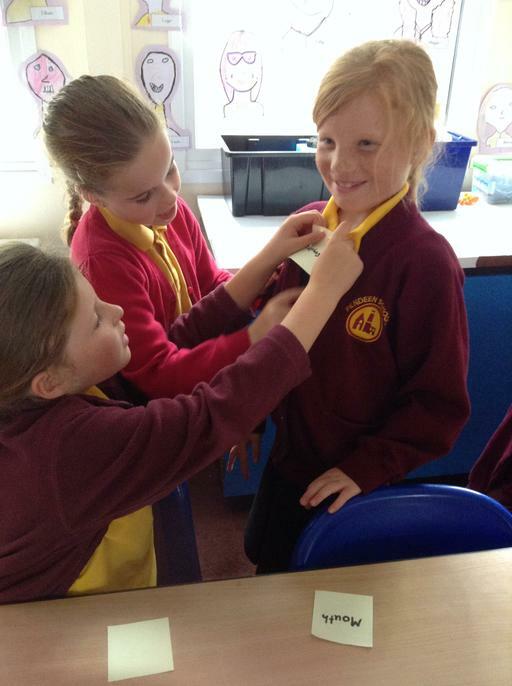 To add to our fun this week, we also had our golden time where we chose to have a games afternoon. It was really fun and we enjoyed practicing co-operation. 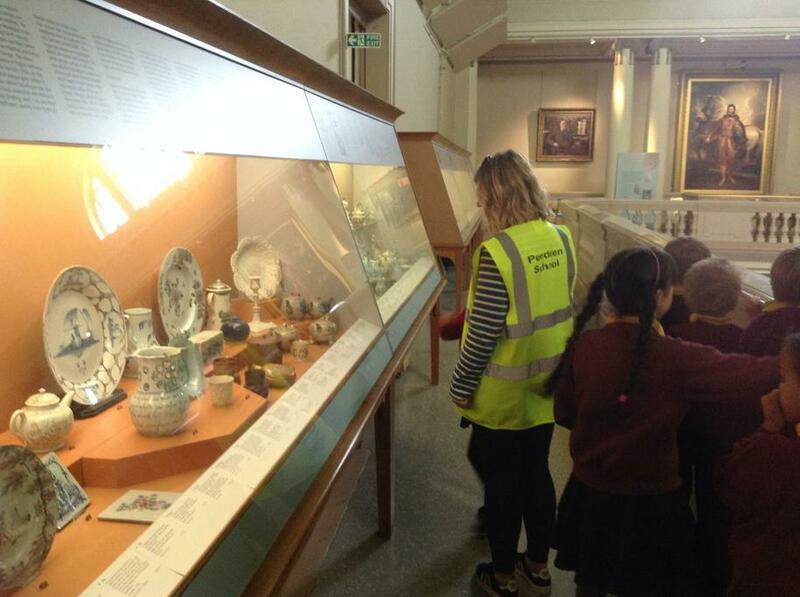 We're hoping to fill our marble jar again before Christmas so that we can do it again! 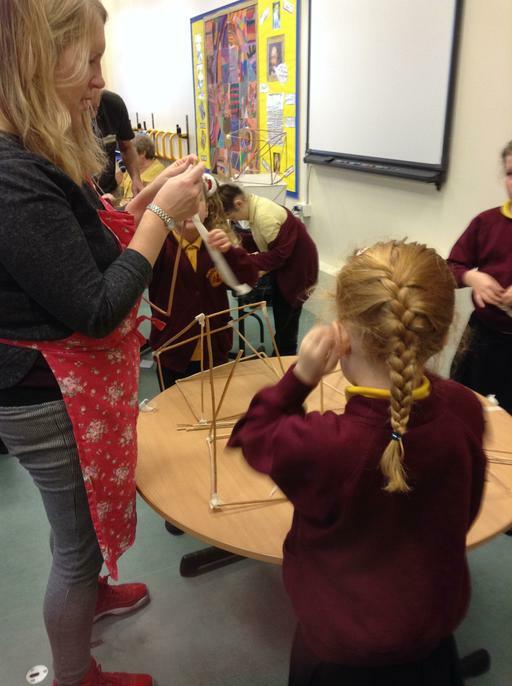 It has been another busy week in Teyr! In English, we have learnt the story of Jack and the Beanstalk using a story map. Next week, we are going to innovate the story to mix it up. We have also been learning about using apostrophes for possession within singular words and plurals. We'll be pros at using apostrophes! In maths, we learnt about inverse operations within addition and subtraction. We then began our new block of learning with multiplication and division. We really enjoyed learning how to multiply by 10 and the year 4s progressed on to multiplying by 100. Next week, we will be learning to divide by 10 and 100. We will also be focusing on our times table facts. On Friday, we had our last drumming lesson with Mr Long. We then performed to the rest of the school in our celebration assembly. We were fantastic at practicing self discipline as we had the drums in front of use for the whole of the assembly and couldn't touch them. This week, we filled our marble jar and have earnt our golden time. We have decided on a games afternoon so watch this space for information with dates etc. Well, what a week of learning! In English, we have identified different word classes and changed the vocabulary on our working wall to link to our topic of Mixed Up Fairy Tales. We also practised using apostrophes for possession within our writing. 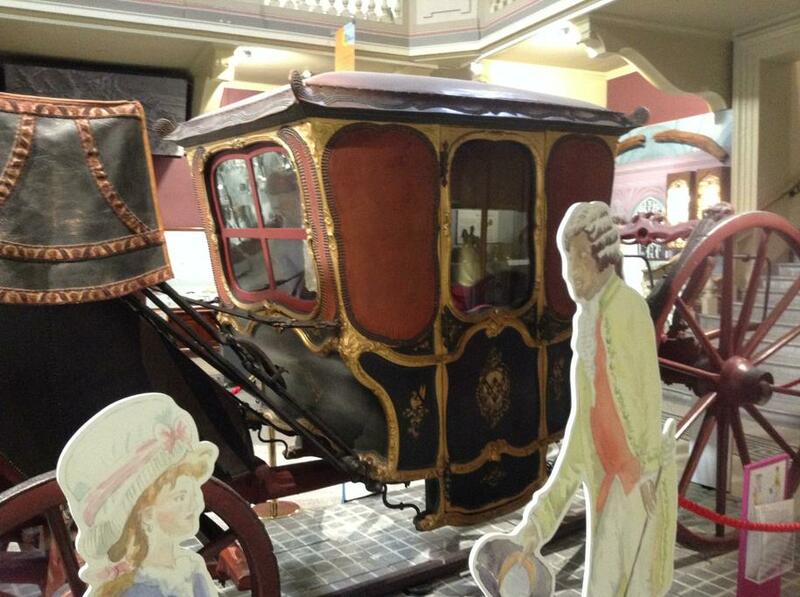 We have begun to look at fairy tales in more detail to understand the features of these wonderful stories. 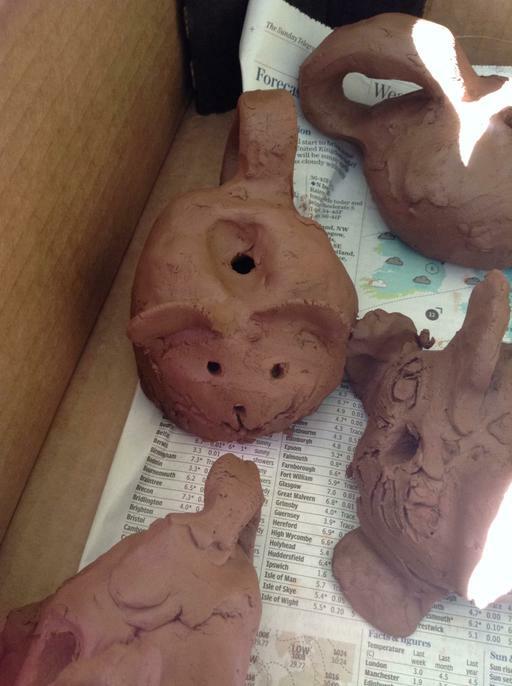 Next week, we will be working with our class text: 'The Three Little Wolves and The Big Bad Pig'. In maths, we have nailed subtraction! We have practised our fluency skills and can show a good understanding of number. We also played a game called 'Dicey Operations' where we practised our problem solving skills. We had to reason why a number would be best suited in a certain place. It was great fun working with someone that we haven't worked with in a while. We had our last full african drumming lesson with Mr Long. We will be performing at the beginning of the celebration assembly next Friday so please do come along if you can! The culprit, or should I say culprits, have been found! 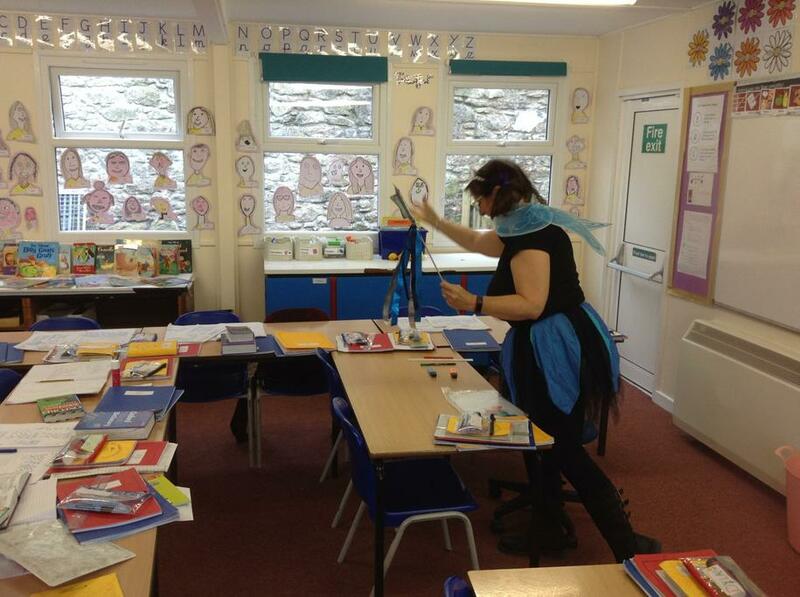 Teyr children discovered the criminals in Teyr classroom on Friday 9th November causing mayhem in the classroom. Who knew the Fairy Godmother and the Big Bad Wolf were such good friends?! Mr William's, the school caretaker, was not impressed with all the glitter! It has been a very busy and exciting week in Teyr. We continued to investigate the destruction of Miss Sedgeman's gingerbread house and were determined to produce a newspaper article so that everyone could know what had happened. We learnt about direct speech and using inverted commas correctly within speech. We also learnt about conjunctions to give more information to our readers by extending our sentences. It also helped us to make our sentences flow. Watch this space for our articles. 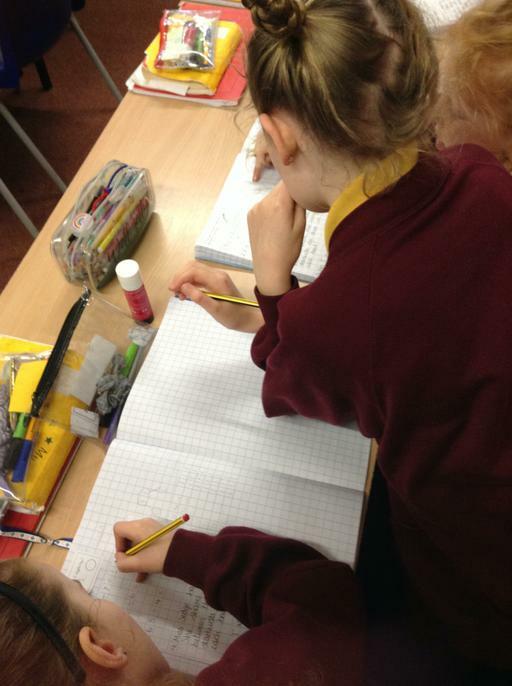 In maths, we have continued our block of learning with addition and subtraction. We have focused towards subtraction and are practising our fluency skills with exchanges. We will continue this next week. In science, we have begun a new topic of learning linked to electricity. We classified different household objects into whether they are battery or mains operated. It was very interesting to see how many appliances actually use both! We also carried out an experiment with lemons, nails and coins to understand how a battery works. It was so exciting! In topic, we have continued to develop our computing skills by learning how to copy and paste into a document. 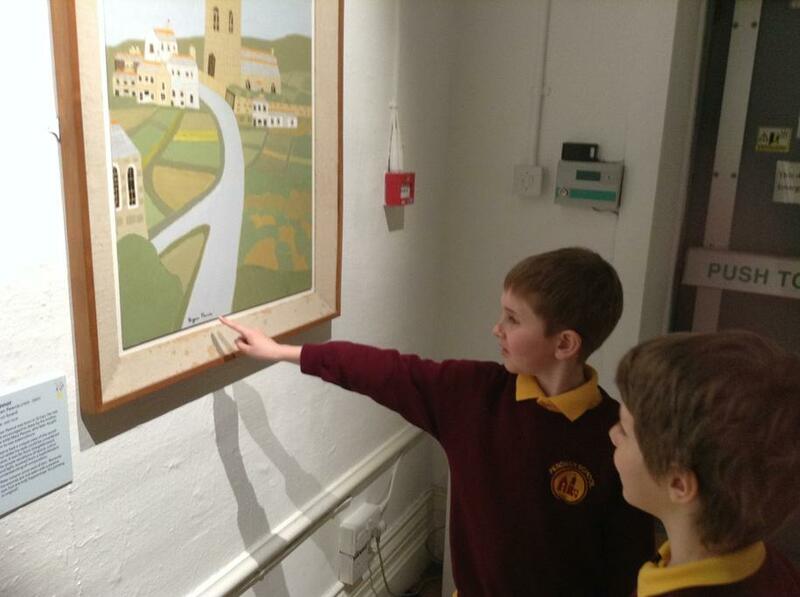 We then used the pictures we had found on the internet to begin creating landscapes of castles throughout the world based upon the style of Jolomo - a landscape artist from Scotland. 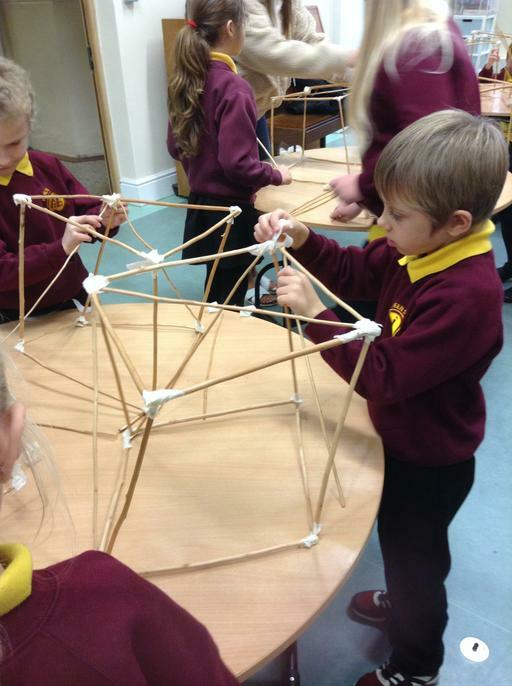 We have been very busy in Teyr this week! On Tuesday, we arrived to a crime scene. Miss Sedgeman's gingerbread house had been destroyed! Using the clues, we identified some suspects and created wanted posters to help us catch the culprit! Watch this space for our newspaper articles recounting what has happened! In maths, we have been learning to exchange in adding. We will be continuing that next week. We had a lovely PSHE lesson on Wednesday where we began to talk about aspirations. As part of this we looked at what we are really good at. Sometimes it's hard for us to identify the good things about ourselves, so we went around the classroom and wrote virtues for each member of the class. It was really lovely to see what we all thought about each other. Well, what a week it has been in Teyr Class! We have been diligently writing poems linked to happiness and sadness. To show imagery, we have made sure that we have used powerful adjectives, verbs and adverbs to describe our chosen emotion so that our reader can create an image in their head. Come and have a look in Teyr's cloakroom after halfterm to check out our fab writing! In maths, we began our new block of learning - Addition and Subtraction. We looked at different variations of how a problem can be presented (bar model, part-whole model, number sentence, number story, place value counters, base 10 and words). After halfterm, we will be exploring column addition and subtraction. This week in topic, we have studied the artist Pablo Picasso. We flexed our creative muscles and had a go at drawing our very own 'Weeping Woman' utilising the style of Cubism. 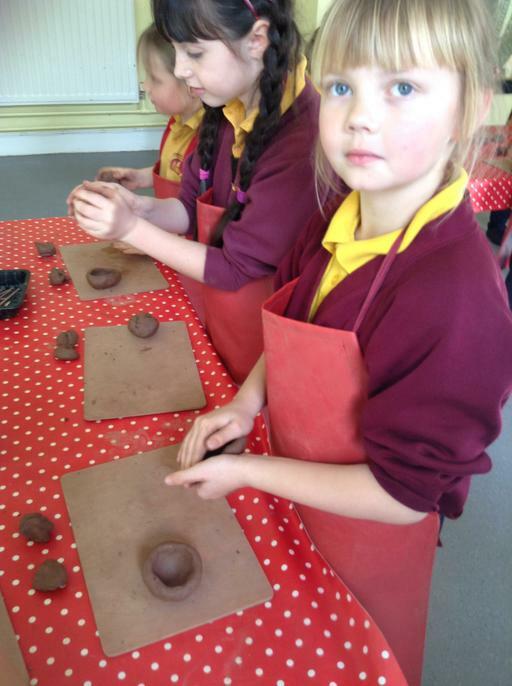 We earnt our final marble this week which meant we had golden time on Thursday afternoon. Yippee! We opted for a movie afternoon so brought our cuddly toys in, chilled out on the floor and ate some yummy popcorn. We've already earnt two marbles since it was emptied on Thursday morning! Parent consultations this week have been very positive. It has been lovely to hear that so many children have settled in and are very happy. If you didn't manage to make an appointment and would like to, please contact Miss Sedgeman to arrange a convenient time after halfterm. It has been a fantastic 7 weeks in Teyr. Enjoy the well-earned break. Don't forget that we have a INSET day on Monday 29th October so we will see everyone on Tuesday 30th October. Jack using a pictorial approach to adding. Mckenzie adding tens and ones. What a fab week it has been in Teyr! In English, we explored imagery in poetry. We looked at a poem about anger. We then used this as a model for our own poem about worry. We have some fantastic poets in Teyr! Next week, we will continue to explore poetry linked to happiness and sadness. We were mathematical wizards in our maths lessons this week. We tackled rounding numbers to the nearest 10 and nearest 100 which is tricky stuff! We were amazing at this and could understand the concept of rounding and are able to give reasons why a number rounds to a certain multiple of 10 or 100. We also had fun looking at roman numerals. Next week, we will begin our second block of learning where we will be focusing on addition and subtraction. In science, we thought about our fun exploration of the digestive system last week and put this in to writing. Have a look at Pendeen's pobble page and see out two authors of the week: Olivia and Tiana. More pen licenses have been handed out this week. 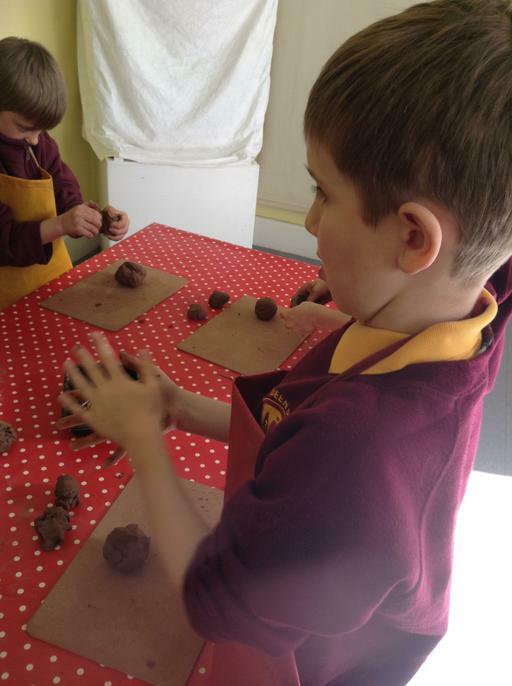 We are working hard on forming our letters ensuring they are the correct size and sitting correctly on the line. We have had a great start to October in Teyr. 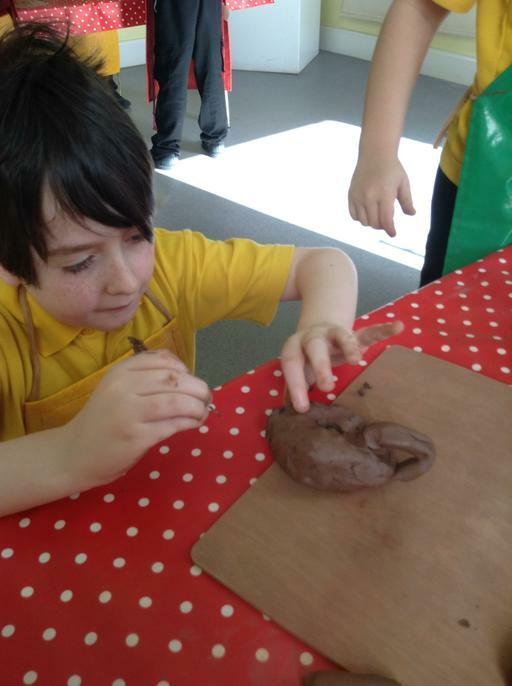 This week in science, we have had the excitement of learning about the digestive system. It has been a really fun and sometimes hilarious part of our body to learn about. 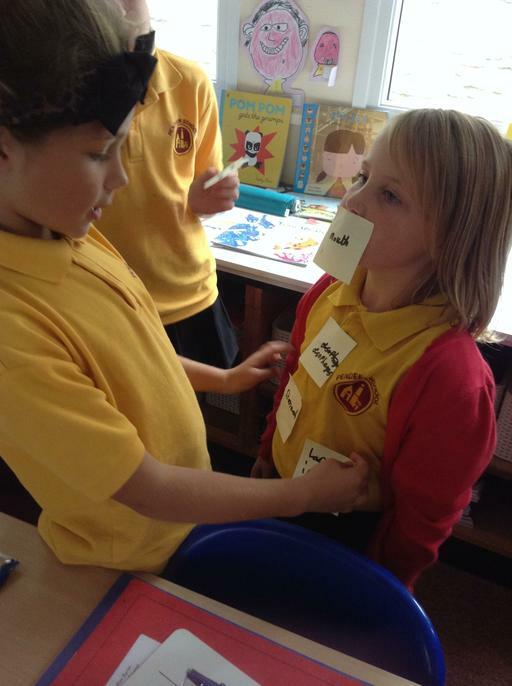 We had a go at labelling our own bodies with post its - mouth, oesophagus, stomach, small intestine, and large intestine. We then simulated what the digestive system actually does and were able to see the process our food goes through from entering our bodies to exiting them. It definitely wasn't for the faint-hearted! There has been some interesting conversations happening in Teyr! In English, we wrote a diary recount as though we were Joy from Inside Out. We recounted a heart breaking moment with Bing Bong - our beloved imaginary friend. Watch this space to see who is our published author of the week on Pobble. In maths, we have continued our work on place value where we have looked at counting in 100s, 50s, and 25s. We also began comparing objects that represent numbers. Next week, we will enter our final week on place value where we will continue to focus on comparing numbers and learn how to round numbers to the nearest 100 and nearest 1000. It has been fantastic to hear all children read this week and see who is enjoying reading at home. It is really important that children have that time to enjoy reading and also be asked some questions about what they have read. This will help them greatly in their learning. Thank you for your support in this! We have had a really busy week in Teyr. In maths, we have been learning to represent a number on a number line. 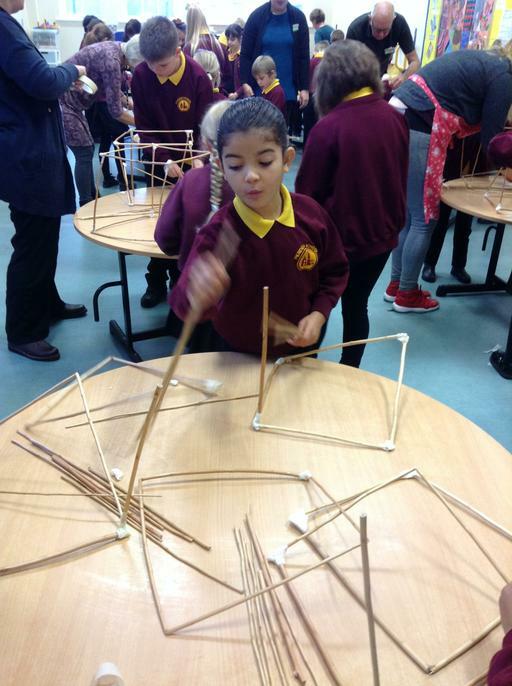 We have used our determination to keep going even when we have found it tricky. Next week, we will continue our work on place value and look at counting in 100s, 25s and 75s. In English, we have been working on our feedback skills. We drew crabs and shells. Then our partner had to give us specific feedback on how to improve. We practiced our kindness by being sensitive. We were amazed at how much our pictures improved each time. We then put this new skill of giving specific feedback to the test in our writing! Next week, we are going to focus on writing a recount in the viewpoint of one of the emotions from Inside Out. In science, we collected our results of which liquid damages an egg shell. Surprisingly, we found that diet cola is worse for our teeth than normal cola! We had predicted that the orange juice would damage are teeth pretty badly and our prediction was correct. 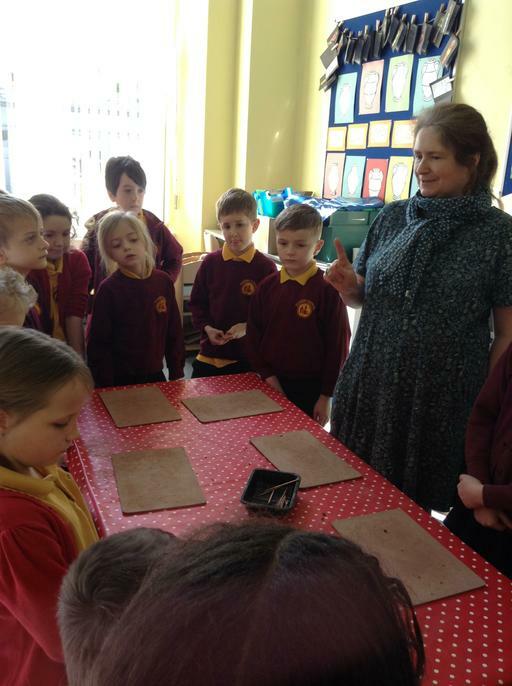 We couldn't believe the effect it had on the egg shells. From our experiment, we found that water is the best thing for our teeth as it does not damage them at all. On Wednesday, we had a whole school Pobble day. From next week, we will have our published author of the week. Keep an eye on Pendeen's Pobble page to see the fantastic writing happening in school. Jack and Lincoln working together. Arthur and Lugo giving positive feedback. Another busy week of learning in Teyr Class! In English, we wrote a character description about Bing Bong from the movie Inside Out. We thoughtfully considered powerful vocabulary to help our reader form an image in their head. Some fantastic words were: excitable and playful. Next week, we will begin to think about our feedback skills and how we can improve our learning. In maths, we have continued looking at place value by looking at different representations of numbers with base 10 and place value counters. 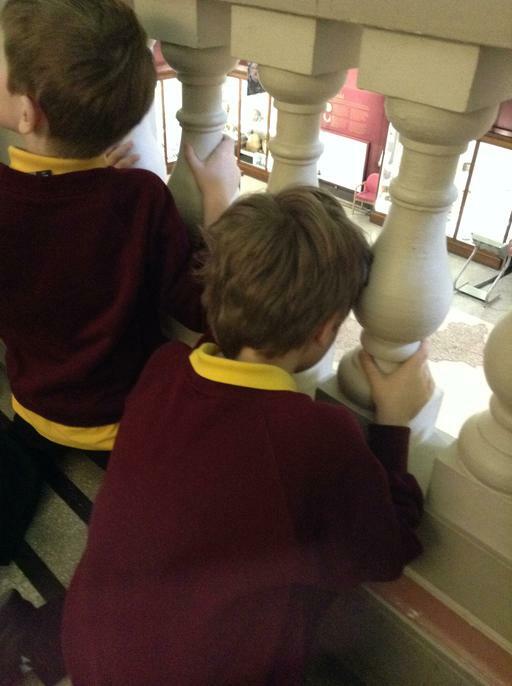 The year 3's developed their problem solving skills where they had to utilise the virtue: determination. 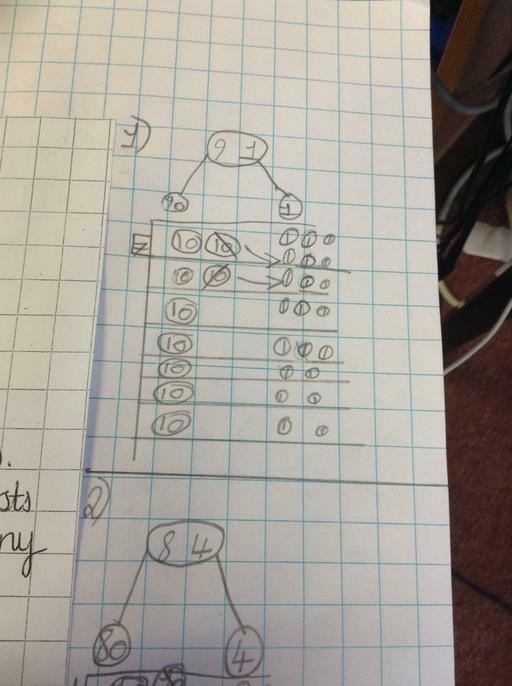 The year 4's looked at partitioning a 4-digit number in different ways by using a bar model. Next week, we will continue our work on place value and begin to represent numbers on a number line. Science was really exciting this week. We have continued to learn about teeth (the start of the digestive system). We began an experiment to look at what liquids damage your teeth. We used boiled eggs as our teeth as they are a similar 'make up' of a tooth. We put them into cups and poured our liquids over which included: orange juice, cola, cola zero, milk, water and vinegar. We've made our predictions and are looking forward to seeing if we were correct or not. On Thursday, most of the year 4's travelled to Bude for a residential at Bude International - pictures will be coming on our main news page soon! The rest of Teyr were in school and were set the task of creating a board game linked to times table facts. There was talk among the staff that Teyr were having a bit too much fun over Thursday and Friday! It's really important that children continue to read at home every night as it really helps their fluency and comprehension skills. Excitingly, we have been signed up to Spelling Shed. A fantastic way of learning our spellings while playing games and earning points. The class with the most points at the end of the week win! Children have been provided with their log ins, but Miss Sedgeman does have a copy so if they get lost, please don't hesitate to ask! 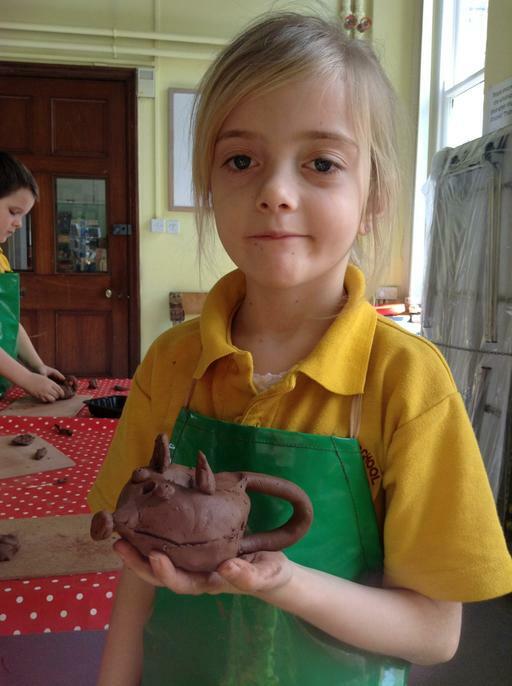 It has been a fantastic full week back for Teyr. This week we kicked off our topic 'Healthy Mind, Healthy Me' by exploring different emotions. In English, we were introduced to five key characters (emotions) of the Disney Pixar film Inside Out. This led us into identifying different word classes: nouns, pronouns, adjectives, verbs, adverbs, conjunctions and prepositions. We began to explore why it is important for an author to use powerful vocabulary in their writing. Next week, we will continue our work with powerful vocabulary and begin writing a character description about Bing Bong the imaginary friend from Inside Out. In maths, we have been learning about place value. Y3 with 3 digit numbers and Y4 with 4 digit numbers. We began the week using a concrete material: base 10 which has really helped our understanding of number. We have learnt how to draw them and can represent different numbers. We are able to explain that 0 is a place holder and is used in a number to show that there is nothing in that place value column. In science, we began looking at the digestive system. We looked at the first part of the digestive system which is our teeth. We identified the different names and their functions. We may also have had a little nibble on something to help us! On Friday, we had our first drumming lesson of the term where we learnt about some important signals in drumming: knowing when to stop and volume. It was great fun and we're really looking forward to our next lesson which is next Friday. Reading records have come home with suggested questions to use when reading. It is important that children have as many opportunities to read and enjoy reading. When they read, it does not have to be their school reading book every single time! REMINDER! Swimming starts on Monday. So please ensure your swimming kit is in school.